Having survived to the Middle Ages, the lighthouse of Alexandria could serve as a model for various buildings of the Western and Eastern world at different times. The list below is of course not exhaustive, it is content to give some places that have been inspired by this lighthouse for their architectures. We can see that the periods are not very variable, all the lighthouses resembling this model were built during Antiquity, even those which today have a modern aspect because it is simply that they were maintained long enough for us appear to be recent. That of Corunna, in Spain, and that of Messina, in Italy, is still in operation. ... or at least whose architect was obviously inspired by its form. China has recently built a giant amusement park in which the wonders of the world are reproduced. 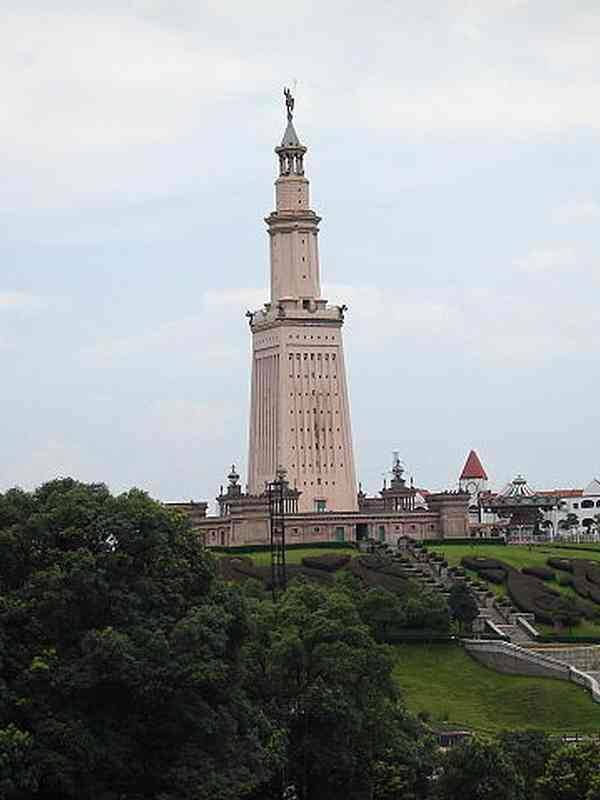 The lighthouse of Alexandria occupies an important place, it is very visible from everywhere. This reproduction seems quite faithful to the original lighthouse, for what we know. 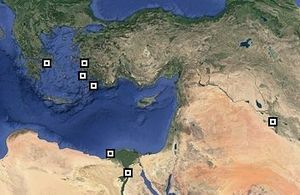 Taposiris Magna is a contemporary city of the lighthouse of Alexandria having disappeared at the end of Antiquity. It was located 45 Kms to the west. Particularly developed during the Hellenistic period, it possesses within it a temple dedicated to Osiris in which is an impressive tower because it is the only building of the site that emerges from the ruins. This tower has the same characteristics as the headlight, with a square base, an octagonal intermediate part and a cylindrical top. 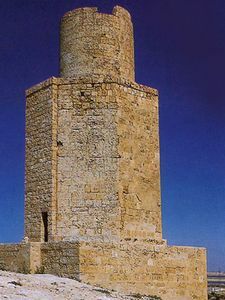 The base is however much shorter, although the photo opposite does not take into account the natural burial of the base of the tower by the climatic conditions that have agglutinated the sand at its feet since antiquity. 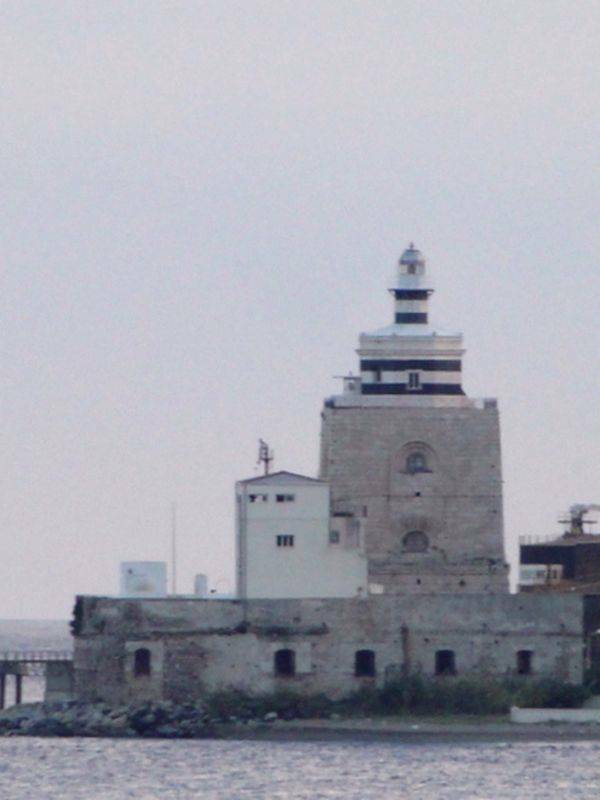 Despite its medieval appearance, this old lighthouse is from Roman times, but it was restored during the Middle Ages. On a square base that is poorly recognized, the elevation is well-orctogonal and the old reproductions show us a cylindrical summit which no longer exists today. This lighthouse is in the town of Dover, England. 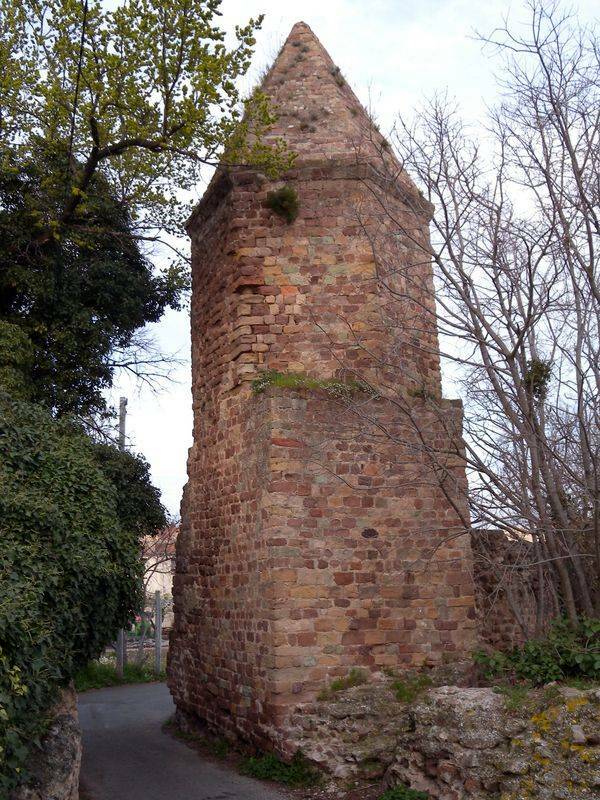 Named Portus Julii in the ancient times, the city of Frejus was an important gateway to the territory of Southern Gaul. 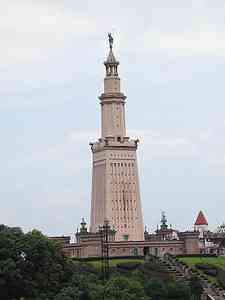 Its port was endowed with a lighthouse modeled on that of Alexandria, but terminated by a pyramid. It was only 10 meters high and could have served as a landmark rather than a lighthouse for sailors. Due to the coast's advance on the sea, the site of this lighthouse is currently inland and can be admired without problem. It is actually observed, it has its square base and its elevation is octagonal. It is also a Roman lighthouse, apparently built in the first century AD by the emperor Caligula. She was then at the port of Gesoriacum (Boulogne-sur-mer). This lighthouse no longer exists today, but the belfry of the city recalls the shape of the lighthouse of Alexandria, so it seems that there is a relationship between the two, especially since on the English coast the city of Dover hosts a lighthouse, partly ruined, almost identical. 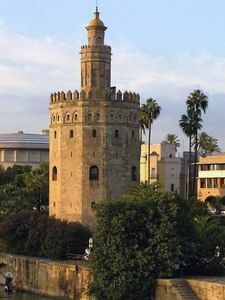 Magnificent building in the heart of Seville, Spain, La Torre del Oro (Golden Tower) is a shape reminiscent of the lighthouse of Alexandria. It is certainly not a copy, but the truncated roundness of the building recalls the octagonality of the Alexandrian lighthouse. Unlike the other buildings on this page it is not a lighthouse but a tower defense. This lighthouse is probably the one that comes closest to its model. Massif, high and imposing, it has a strong square base rather high and an octagonal tower a little too short compared to the original. 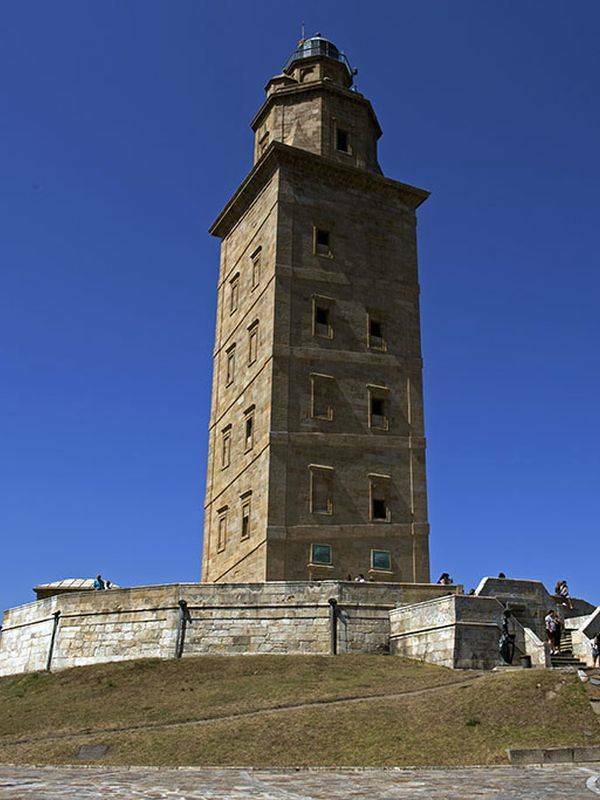 It is located in A Coruña, in Galicia (Spain). 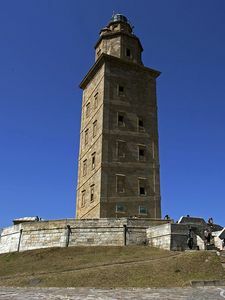 It is usually called the Tower of Hercules. It was built by Servius Lupus during antiquity and it was restored at several points in its history to reach us in this good state of conservation. It is a rarity in that most of the ancient lighthouses no longer exist today, or at least rigor exists but are only archaeological remains. That of Corunna is not only in good condition but still serves as a lighthouse, as in ancient times. 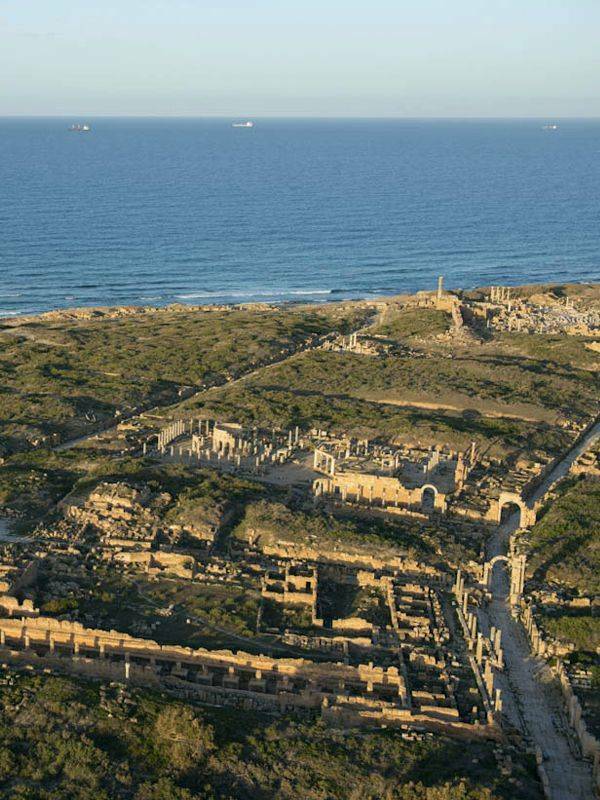 Libya was a Roman province like the whole Mediterranean. 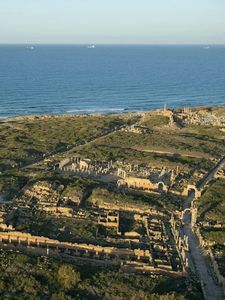 The town of El Khums was called Leptis Magna at the time and it was a port whose lighthouse was well known in the ancient world. It was built on the basis of three superimposed square towers, of diminishing size. It is unfortunately destroyed these days, but the site has a large number of remains of that time. 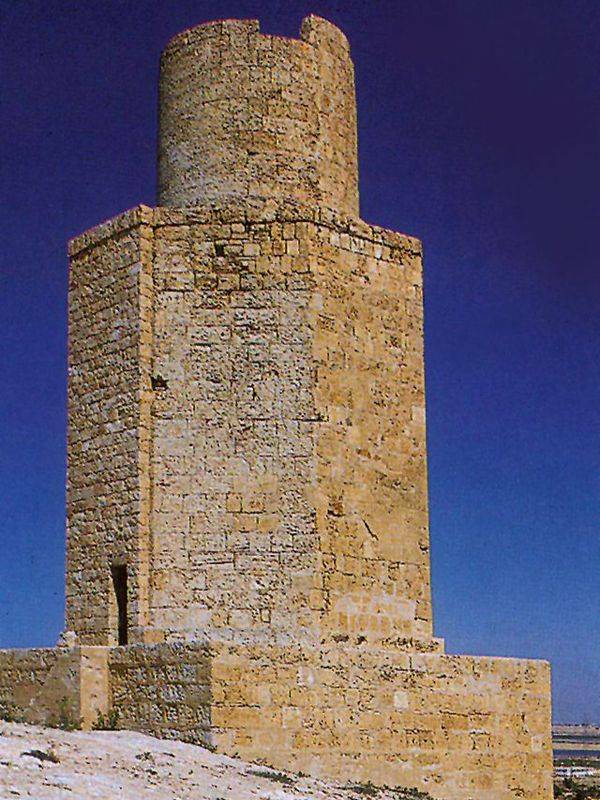 This lighthouse was built during the Roman period between 193 to 235 AD. Messina is an Italian city on the edge of the destroyed by the same name, a strait separating the mainland from Sicily. This sea passage is the object of many marine currents and has therefore always required many lighthouses all along the passage. This one is also of Roman time but was modernized. 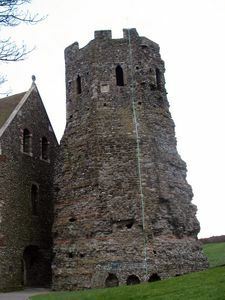 It is mounted on a square base and surmounted by an octagonal tower. Ostia is an ancient city of ancient Rome, it was the port of Rome, 35Kms west of the city, at the mouth of the Tiber. It was in the first century AD that the Empire finally built a new port at Rome, the old one being too small to handle the increase in freight traffic inherent in the growing power of the empire. 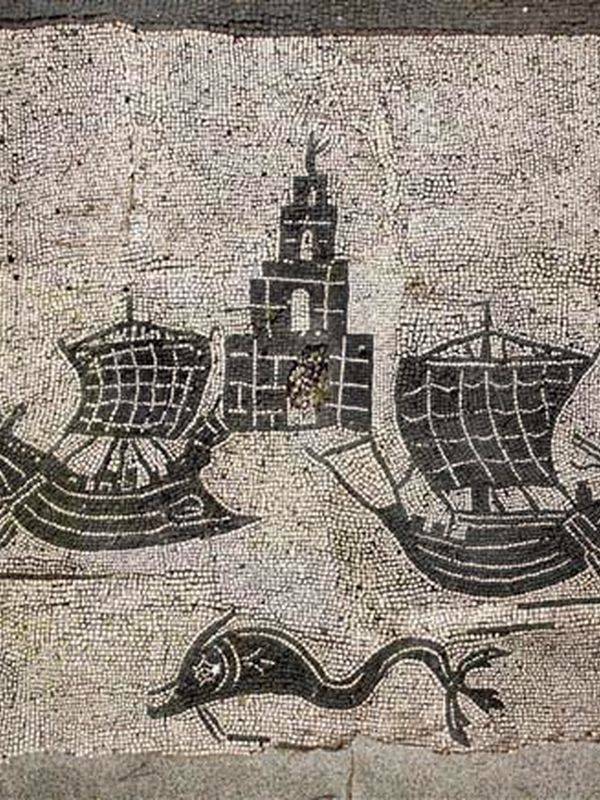 The site chosen was that of the mouth of the river where was created not only a port but also a new city: Ostia. The lighthouse which was built there to direct the ships was of the same style as that of Alexandria. The inauguration of the port took place in 66 AD, by Nero.